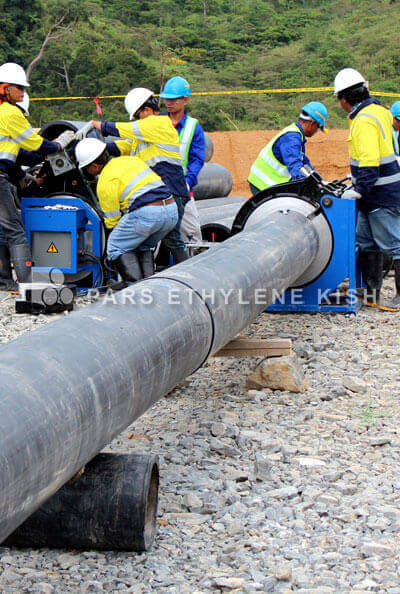 Manholes are used as a technical component for inspection and cleaning of sewage networks and underground channels which comprise of three parts of entrance valve, entrance rod and inspection chamber (components of polyethylene manhole). 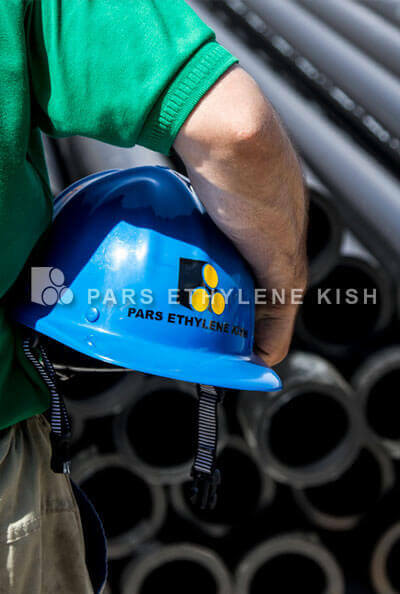 Manholes are placed in 50 to 150 meters’ distances in the points where a change in the direction or size of the pipes or a significant change exists in underground networks and pips. The production and application of the manholes have been standardized and most of the big cities use such ratified designs. Their implementation time is much less than traditional manholes, such that it only takes one day to open and close the trenches. Light color and polished surface of the manhole makes its inside visible. Uniform infrastructure of manhole and pipe removes their asymmetric breakdowns. 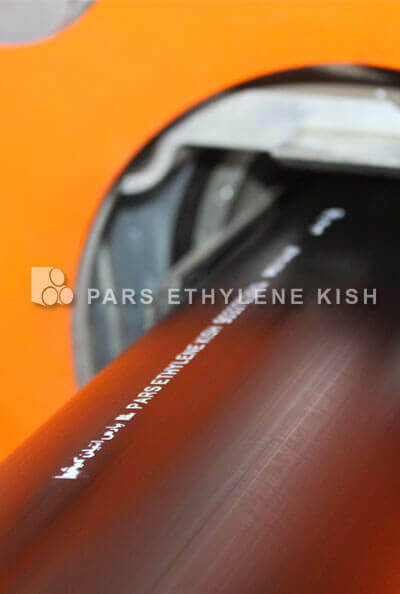 The raw material used in production of polyethylene manholes of Pars Ethylene Kish company include grade 3840 polyethylene materials, rotary molding grade HDPE or LLDPE can also be used for production of polyethylene manholes. 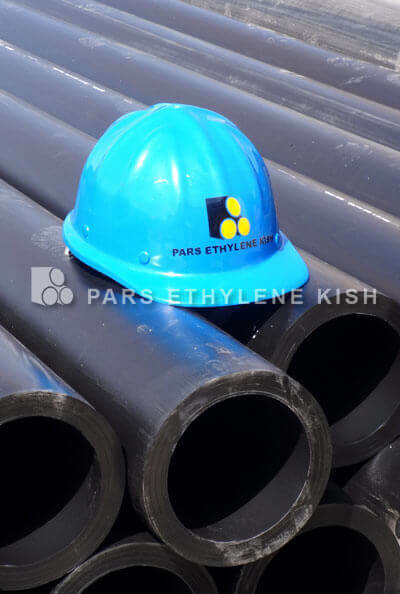 The polyethylene materials used in production of polyethylene manholes by this company are resistant against sewage pollutants such as acids even up to 99% concentration and also concentrated alkies which in the standard, there is a list of materials to which the polyethylenes are resistant that shows the resistance and working temperature of polyethylene in respect to these materials. 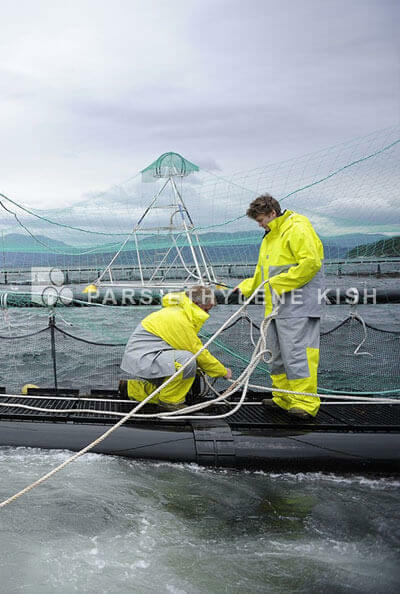 polyethylene materials are robust against abrasion, erosion and contact with drowning particles in the sewages and have long durability. 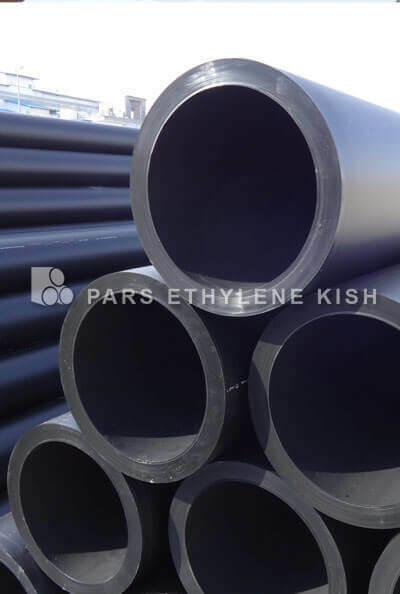 The raw material for polyethylene is ductile, so it does not suffer from detachment and erosion in the invests by the drowning particles in the sewages. The polyethylene manholes are perfectly sealed by sealing stripes, hence no underground water would enter the sewage system or vice versa and these manholes also do not allow the sewage materials to permeate into underground water reservoirs and therefore make the sewage system very effective and in this way, we can prevent underground water reservoir from contaminations which is perfectly in conformity and accordance with the environment. 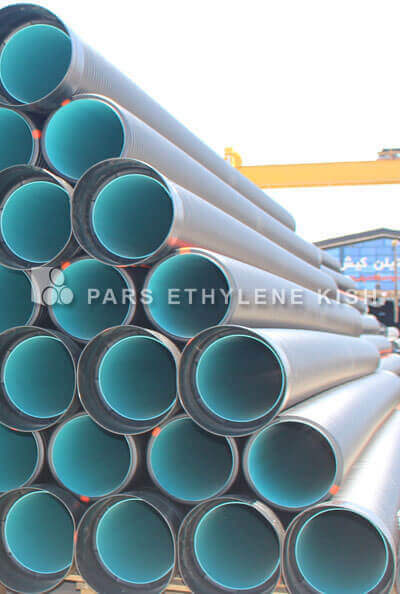 The working temperature of polyethylene manholes is usually determined according to the temperature of the fluid flowing through it which is usually 450-600C. 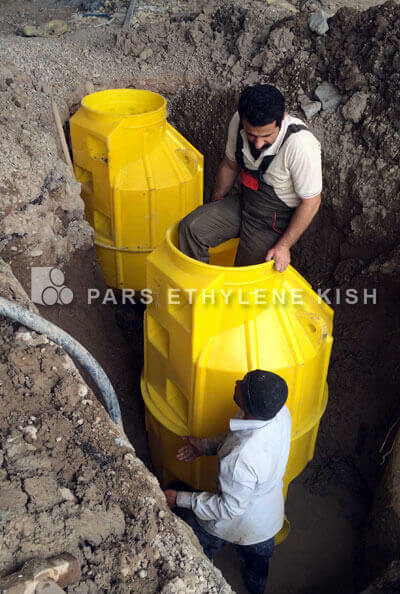 Polyethylene manholes of Pars Ethylene Kish company have a unique advantage which is the modular property they possess. 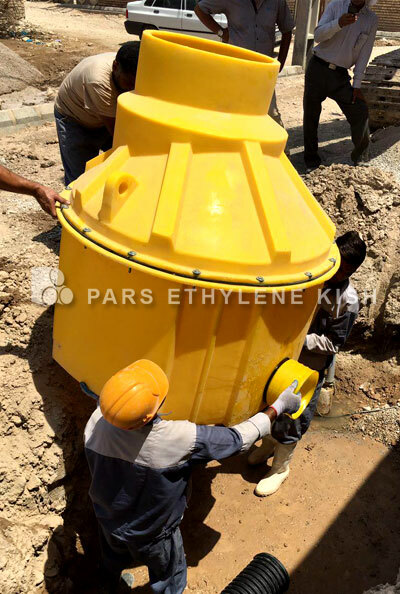 It is for the first time in the prefabricated polymer manholes that it is possible to produce polyethylene manholes and the modularity of manholes made by Pars Ethylene Kish company have been enabled with design and manufacture of modern rotary molding machinery and accurate molds which is all performed by the experts at Pars Ethylene Kish company, namely the manholes made by Pars Ethylene Kish company are not monolith and do actually consist of different components with different uses which enables the designers and executers to freely choose the manhole height and diameter without any limitation. 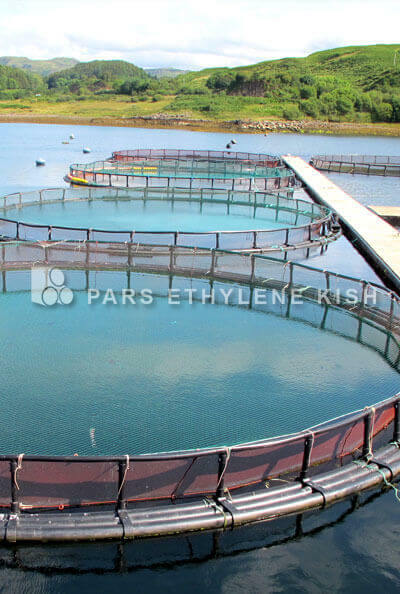 However, the monolith manholes have their own applications and the monolith manholes made by Pars Ethylene Kish company are frequently applicable in the areas with high level of underground water. 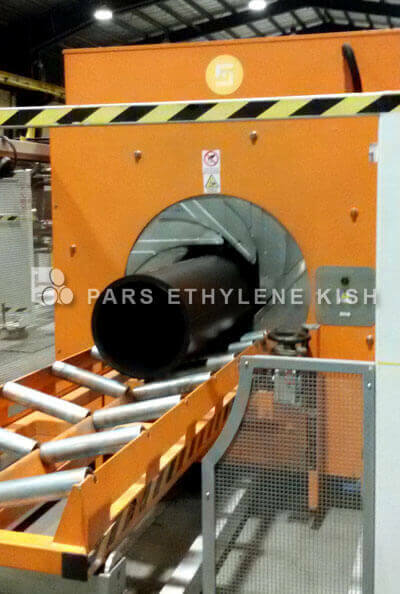 Pars Ethylene Kish manholes are manufactured using the latest, the most modern and hugest rotary molding machine in the region which yields to uniformity and same thickness of all surface of Pars Ethylene Kish manholes. 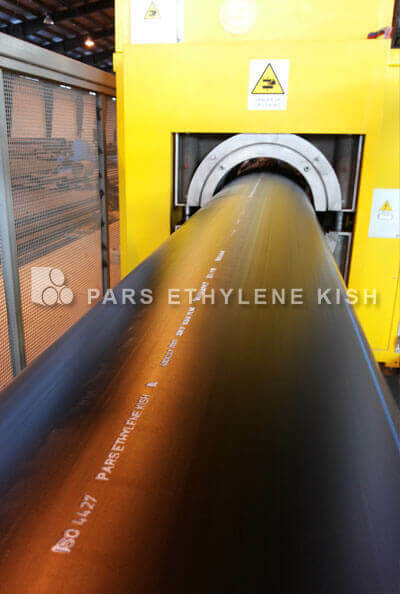 Leveraging expert and experienced manpower in the polyethylene industry, this company has managed to achieve the most recent technology of manufacturing rotary molding machines. GRP manholes are another one of prefabricated manholes for production of which, resin, polyester and sand are used and the more amount of sand is used, the more fragile the manhole will be. In case that high quality resin and sand would be used as specified in the standard, the production cost for GRP manhole would be more than polyethylene. GRP manholes are heavier than other similar modules and they are transported by machinery. The GRP manhole steps are also connected to the body using nuts and bolts. It has been empirically seen that in the step junction the force torque applied on the step and also the evaporation of sewage gases pares away the GRP layers and thus the manhole gets broken. 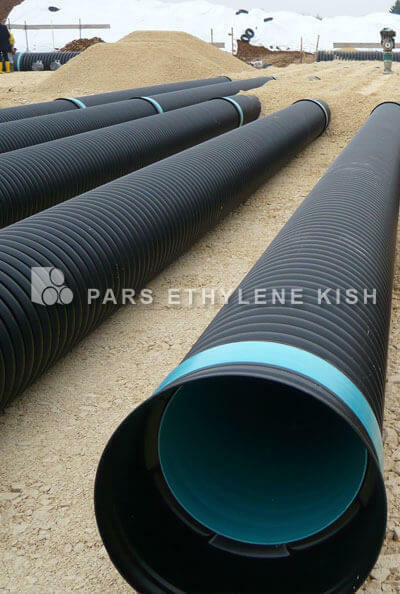 Some of the manufacturers use spiral polyethylene pipes in big sizes to produce manholes which may seem suitable in the first look, but in long term and specially for the floor, entrance and exit parts they get into trouble and also they do not do well in the steps and pressure evolution of dead vertical loads and therefore, in long term they suffer from excessive exhaustion. 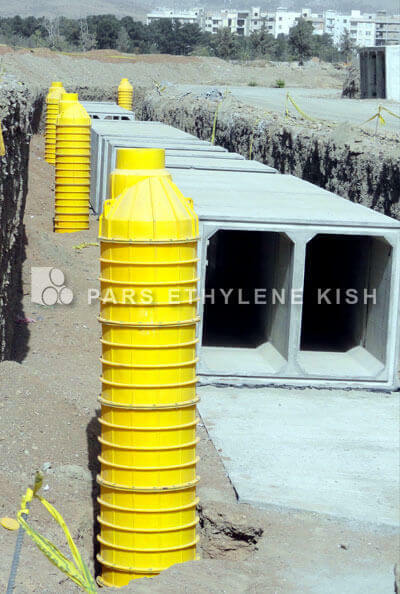 Note: in the prefabricated and polyethylene manholes, note the step role and implementation in the manhole. The twisting structure of the steps and also the difference in steps material (steel, aluminum, etc.) 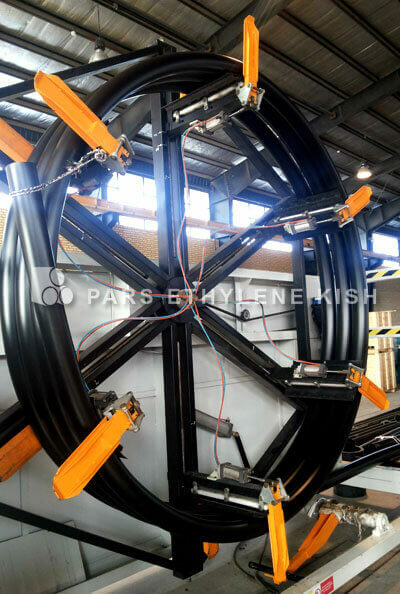 are some of the defects of prefabricated manholes. avoid using such manholes and instead use manholes comprising monolith steps injected into manhole body. 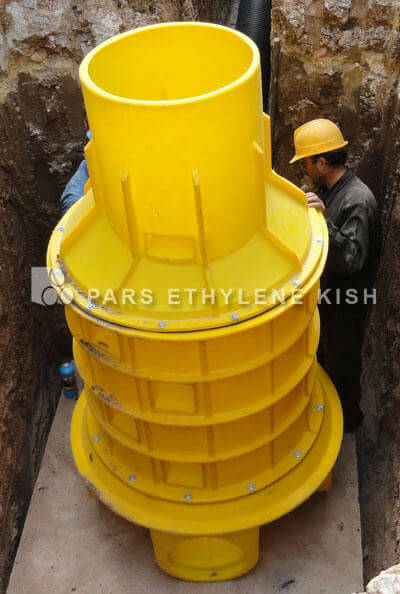 In polyethylene manholes of Pars Ethylene Kish, the steps are injected and form an integral whole along with the manhole body which endures up to 200 kilograms of weight. Traditional manholes which are built with cement or other common materials are no longer justified to be used in the sewage systems and are out of date indeed, they have lots of disadvantages. Manhole means somewhere men can move into. Manholes are some sort of connections which are used for connection, inspection, repair, etc. of networks and road lines. Manholes are used frequently throughout the city and are encountered all across the city. These manholes are used for different purposes (water and wastewater, telephone, electricity, etc.) and manholes are built for men to easily access inside the channel. In the sewage transfer networks, in order to connect many sewage pipes together and direct to some other path, they use manholes instead or in the communication systems the manholes are used to access the cables paths underground. Sewage manholes are the ones installed in the sewage transfer lines and are used for access and dredging of sewage lines. 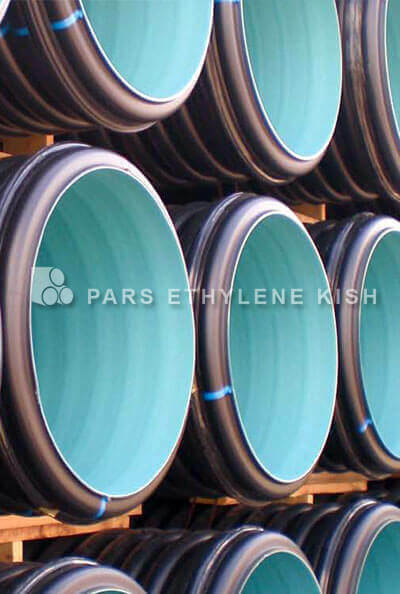 Sewage manholes are now built from polyethylene materials the advantages of which are described in the following. 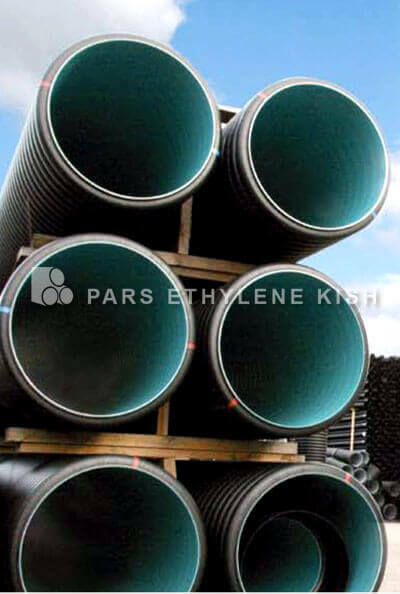 However, brick and concrete manholes are also used but in the modern world and due the development in the technology, they are not popular anymore and the contractors and executors of sewage lines are more inclined to use polyethylene manholes. 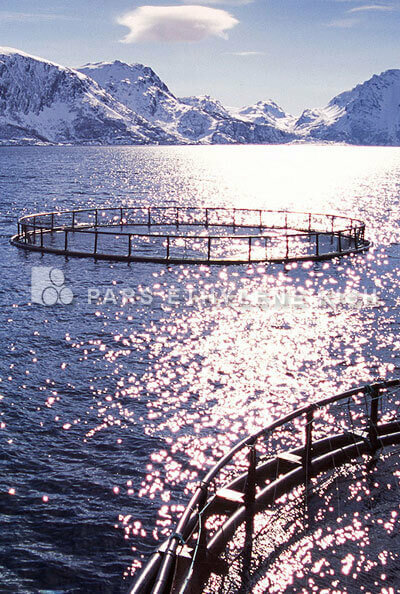 In order to select the best manhole type, note the items mentioned above and proceed to the Best Manhole Type page. 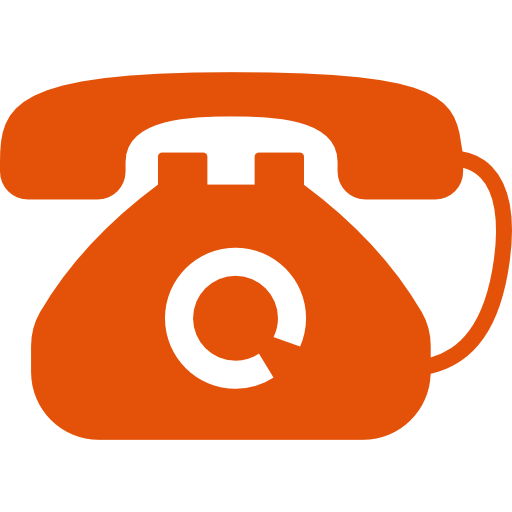 There is a questionnaire and guide at the end of the page, answer them honestly and then easily choose the best type of manhole amongst all of them.